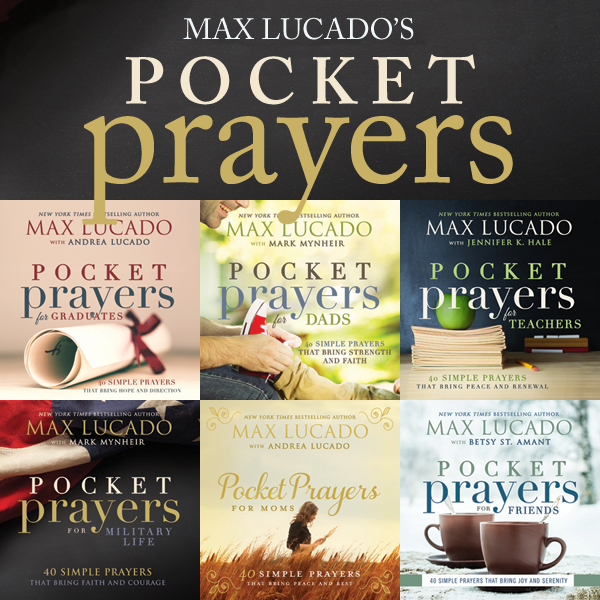 I absolutely LOVE Max Lucado....and these pocket prayers. I have read through all of these books & I cannot wait to give these away as gifts! They are so great. Each "Pocket Prayers" has 4o simple prayers for Friends, Graduates, Moms, Dads, MIlitary life, & for Teachers. I have all plans to give away all but two. I'll have to find someone to give those two to. I will probably give them to our pastor to hand out to someone he may know who could use these books!